To those curious, the block was changed and the the oil feed added in cars produced after May, 1995. Is there a place to source just the head or is purchasing a long block the only way to go? Does anybody know what is the part number for the2jzgte vvti head? I checked how much is a 2JZGTE VVT-i brand new is 3,300 dollars plus shipping from JDM land. bare head too. Here's the oil line I made for the VVTi. And any recommendations for exporters who won't charge an arm and a leg based on the likely increased demand they're seeing? Or maybe even possibly a GB?? Make sure the AC Compressor fits! Yeah it fits no problem. Anyone know on the AEM V2 VVC map are the values cam angle or crank angle? With the oversize valves, high compression etc, the valves will hit the piston before the adjustment on the VVTi cam gear is on full advance. So I'll have to make sure I dont adjust the advance too much. Quick question. 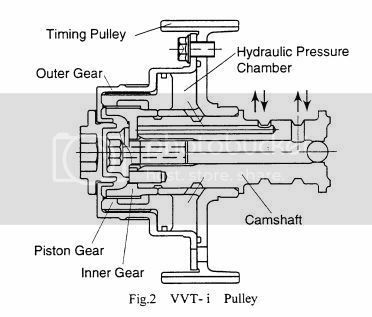 The way I understand it the vvti solenoid only adds timing. So if left unplugged it will set the timing advance to 0? The GTE VVTi is not interference when it's stock - correct? It's only when you add high lift cams over 9.2mm that you have interference. Depends when you unplugged it. It will be locked at the last place it was unplugged. Thanks Jeff! I will add this to the documentation. Yes factory is non interference. 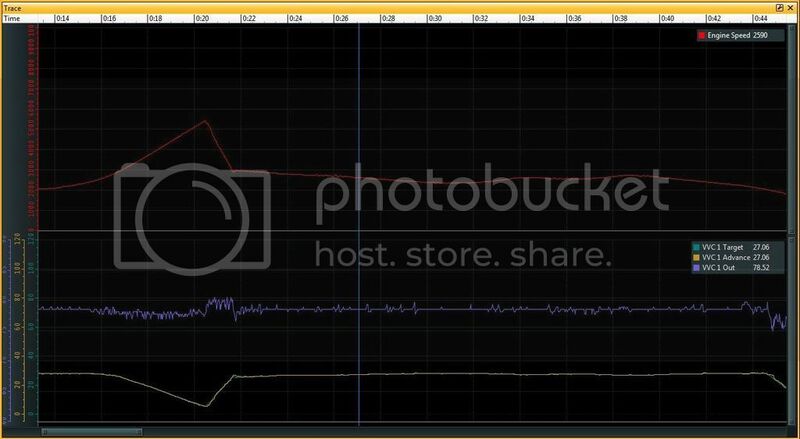 I can tell you with my 10:1 compression and HKS cams it is still non interference. I have tuned another car with BC VVTi cams and it was also non interference. I have seen GSC2 VVTi cams work with 60degrees of advance, so interference isn't always a deal breaker. I think the biggest worry would be with larger +1 valves. I picked up a VVTi GE motor for just a few hundred bucks off craigslist. I'll be switching from a 1JZ cylinder head, so I'm not concerned about manifold compatibility, plus the GE exhaust ports look better than the GTE ports at first glance. GTE VVTi motors are all imported, whereas there's a substantial supply of GE VVTi motors from Lexus vehicles. If you're concerned about keeping your existing manifolds, buying a complete JDM motor or sourcing a new cylinder head from Japan will be your best options. Good info as usual Chris, but I'm curious about that last part - You're referring to normal cam phase operation, correct? What about interference during belt failure with GSC S2, BC, HKS? I'm curious if the 9.2mm lift threshold still exists with a higher-than-stock CR piston. After my little incident we discussed, I'm going with a 9.5:1 piston, BC rods and a head lap, so right around 9.7:1 final CR and just not sure what to do for cams yet. A Gates race belt is a given though. 1997 DJG 6spd - 10:1, VVTi, ProEFI, HRE, BBK, etc. 2011 LP570-4 Superleggera - Stock...for now. If a belt fails and you have an interference motor well, its not going to be pretty. When I built my personal motor I could physically turn the cam 360 degrees and it didnt touch a thing (HKS cams, 10:1 compression). So if a belt failed on my motor it would just spin and stall. Obviously when you get into the bigger lift cams you won't have the same luck if the belt snapped. Where that exact point is will vary on every setup. I don't have personal experience with higher than stock compression and big lift cams. I just know that it works. Dentguy has 10:1 compression and large kelford cams and Rocketman on here has GS2 with no issue. It'll always return to full retard if the solenoid isn't being pulsed (disabled or unplugged) while the motor is turning. Cam advance will always be at full retard during cranking. That would make sense. Can you elaborate by your statement "It'll always return to full retard." I have heard conflicting reports about this and I'm curious your view on it. I don't have personal experience with higher than stock compression and big lift cams. I just know that it works. Were your piston at TDC? You could turn the cam even through the engine if interference if your piston isnt at TDC. Depends also if the block and head is milled. My engine was interference on HKS 264's. CP 8.5:1 and stock valves. Last edited by Krister; 06-20-2015 at 12:00 AM. The OCV works with PWM, so it's either on or off but controlled at high speed with varying duty cycle. When it's on, oil pressure fills the chamber inside the cam gear. When it's off, that chamber is open and the oil can return and drain to the pan. The resistance of the cam pushing down on the valves is what drives that middle (piston) gear back and closes that chamber. What's happening with the PWM duty is oil is moving into and out of that chamber at different rates depending on duty cycle. Oil pressure is what's pushing it advanced, valvetrain resistance is what's pushing it back retard. There is a certain amount of duty cycle (oil flow) that will hold the cam at any given advance, so 78% duty cycle (could be ~45% depending on flyback diode) will hold the cam at 10° or 20°. When the target angle changes, duty cycle will increase or decrease a little from 78% to drive the cam to the desired angle and return to 78% to hold it at that angle. EDIT: Sorry, I have it slightly wrong. There are two chambers in that gear and that valve will control oil to both front and rear. The tolerances allow the oil to drain, though, and while cranking the drag from the valvetrain will slide the helical center gear to full retard. Last edited by Kurt; 06-20-2015 at 02:00 AM. Kurt, I understand the physical workings of the OCV, however I was confused when you used the word "full retard." I'm assuming you mean it reverts back to 0 degrees (no advance/no retard). It is my understanding that the cam only advances 0-30degrees in an OEM application, so the cam is never retarded. Meaning -4degrees etc. I think this may just be a misunderstanding/interpretation of the wording on how it works. Yeah, that's what I mean. 0 degree = no advance = full retard = whatever you want to call it. The VVTi head only has the rear cam sensor and AEM uses the front one. Should I use the front cam sensor plug to the rear cam sensor? 26B is the front one and 25B the rear one. For some reason I'm not getting cam sensor signal to AEM and AEM isnt syncing. Same issue with either cam sensor plug. I'll need to check the wiring and another cam sensor. Yes plug the front cam plug into the rear sensor, you'll also need to adjust you TDC ignition offset accordingly. You are using a 36-2 crank trigger wheel right? Great post for sure. Can anyone throw up links on where to source out the parts for the vvti oil line from the block to the head? I think that will be a helpful source of info for the people who are just going to buy the head itself. Also if someone who buys a vvti complete motor obviously it would come with the oil line, but would it be necessary to replace the stock vvti oil line with a larger line if your shooting for a high horsepower? The VVTi feed line would not need to be upgraded or changed at all. The cam is only advanced in the lower Rpms. OK thanks. Yes, I'm running the 36-2 trigger wheel. I tried another cam sensor and checked the wiring, same issue. What is strange that when I select on AEM V2 setup wizard the non-vvti trigger system, I start to get cam count. But with the VVTi 36-2 selected, I cant get cam count. Here's an AEM log of the cranking if someone wants to check it out. What do you mean by adjusting TDC ignition offset? According to that thread, with the VVTi, you would need to run wasted spark. Any input on this? The 3 evenly spaced teeth on the intake cam cannot be used as a 720 degree reset as there's no way for the ECU to identify a complete camshaft revolution like would be the case if there were only one tooth, or for example 4 evenly spaced teeth plus an additional tooth after one of the 4 (referred to as 4+1 as used by some manufacturers). From what I can see after googling some VVTi 2J cylinder head pics there is only one cam position sensor on the VVTi 2J which reads the 3 teeth. The ECU determines crank position from the missing teeth on the crank but has no way of determining the start of the engine cycle. This probably explains why these engines run from factory in wasted spark configuration. Last edited by Krister; 06-29-2015 at 12:23 AM.